Through a visually appealing design, "The Human Body in Health and Illness, 3rd Edition" describes complex concepts in a more simplified way and applies them to patient care. Aimed at students whose background in science is limited, the text assumes the reader has no previous knowledge in biology, chemistry, or physics and makes the information easy to read and understand. The text includes unique cartoons that use humor to make learning the content more enjoyable. The book also employs a body-systems approach to discuss the basic concepts of anatomy and physiology, building up from simple to complex topics. Organ structure and function come alive with 282 of Dr. Netter''''s beautifully rendered color drawi..
Our lives are becoming more complex and more stressful. The demands of our external and internal env.. Completely updated, the 3rd edition of this practical textbook introduces you to basic anatomy and p.. 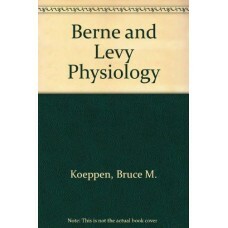 This revised fifth edition is an excellent pathology review for students preparing for the USMLE Ste..
Berne and Levy Physiology has long been respected for its scientifically rigorous approach and now i..
As part of the Annals of the New York Academy of Sciences series, this volume examines mechanisms in..